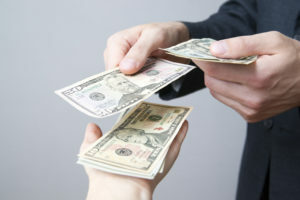 Home / Articles / Are You Paying Too Much Child Support? How much child support is too much to pay? I’m currently paying $1,200 each month and recently received a letter requesting even more. I don’t see how I can afford this. While I am not licensed to practice law in your state, I can give some general guidance on this issues. In the jurisdictions I am licensed to practice in, parents have the ability to seek a review of child support every few years, regardless of whether or not there is a change in circumstances. 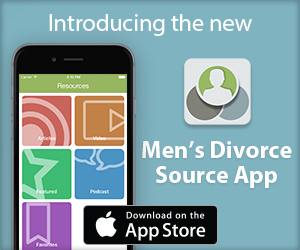 If your income has increased, your child support could be modified. However, if your ex’s income has increased, that is also a reason to look at whether or not your child support could be reduced. Every child support obligation is different so I cannot tell you if $1,200 a month is too much or too little. However, when child support is calculated you must make sure that all of the numbers entered into the child support guidelines are accurate, including income, parenting time, health insurance costs, child care costs, etc. If any of those numbers are incorrect, they could cause your child support to also be incorrect. If you are having your children more often than the original schedule provided, then you may want to look at the child support on your own and see if you have the option to try to reduce it. 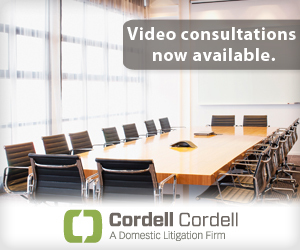 To arrange an initial consultation to discuss divorce rights for men with a Cordell & Cordell attorney, including New Jersey divorce lawyer Michelle L. Ferreri, contact Cordell & Cordell. My husband pays almost $1400/month and it’s incredibly sickening to me. His ex has a full time job, granted she doesn’t make very much but that’s because she knows the support will decrease if she gets a better paying job. She has also admitted that the support pays her mortgage and car payment. So basically without it, she couldn’t have a car or a house. Well, what happens when/if that money goes away tomorrow – you’re basically telling me that you can’t afford to take care of your child. Quit being spiteful. He’s an amazing dad and person and his son truly idolizes him – why take away from that? Get a better paying job. Quit taking away from us and our family because you’re jealous, spiteful, angry, etc. Not only does he pay that outrageous amount every month, we also pay 77% of private school, school supplies, parties (usually split), he’s on our medical insurance and then anything outside of the deductible is also 77% paid by us. So it really ends up being more than that. I get so heated thinking/talking about it because it is just so unbelievable to me. Totally agreed. My ex wife works Patty time, my kids are teens, she had incredible professional experience, but continued to live a country club life style on the kids child support. She eats less than $35k annually, yet drives a new Audi, travels the world, and studs money into her IRA. Yet she’s butts the kids used clothes at Savers. The system is fundamentally broken. It’s not 1950 any more. My child support case started in 1996 my child turned 18 in 2013, I owed arrears because I was out of work for 2 years due to be a full-time student, at this point the court order was 159.00 a month while the child was a minor, I had visitation so I had my child with me every other weekend outside paying what the court order required me to pay I was providing whatever she needed by the likes of clothing, cell phones, school trips whatever her heart desired. (The state said they were gifts and not support) The mother was cooperating with me good until I got married (I was never married to the mother) from this point she turned into a different person and started demanding more and more money from me being very UN-cooperative. Once the child turned 18 the state of California dropped the payments to 7.00 a month because the child was emancipated. I moved to Washington the mother dropped my case in California transferred it to Washington state now they have me paying 350.00 dollars a month and plan to move it up to 500.00 a month because they charge interest so I will never pay it off. (Washington State is very aggressive about collections) At this point I can’t afford an attorney and I don’t know what to do, the mother could drop this case but refuses to, my credit is shot, I can’t get a passport, certain jobs will not hire me, my life is screwed at this point. If anybody knows any way I can’t fight this thing I would love to hear what you have to say. Try and check with a college that practice Law, sometimes they take on legal matters for free. Was the new judge aware of the other courts decision? Sounds like injustice! Go to help me Howard or a local news channel in your State. Let the world know how unfair the law is and how women use the court system to abuse loving and caring fathers! I have no idea if my question was answered. Chances are that no one can help. Men have no rights when it comes to this. Arrears are never paid off & the men have no chance at having a life. I’m sick of these spiteful women, the laws, the whole situation. Lives in Dublin GA other parent lives in Macon mississippi.